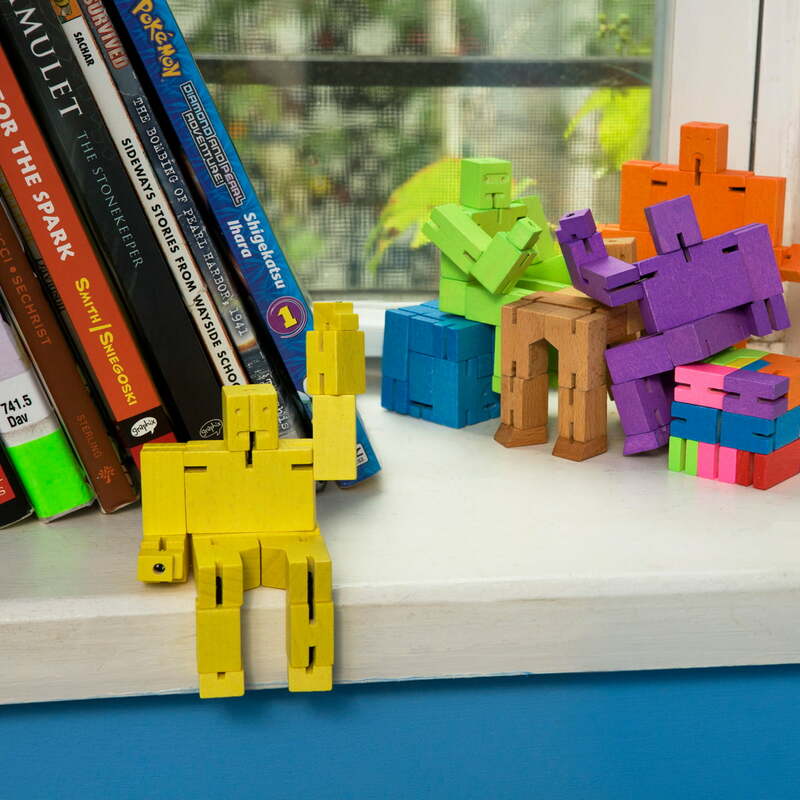 Micro Cubebot is the small brother of the desired Cubebot robot by Areaware. Therefrom it has the design, style and the classic virtues of a wooden toy. Robot toys traditionally consist of synthetics and need a battery. 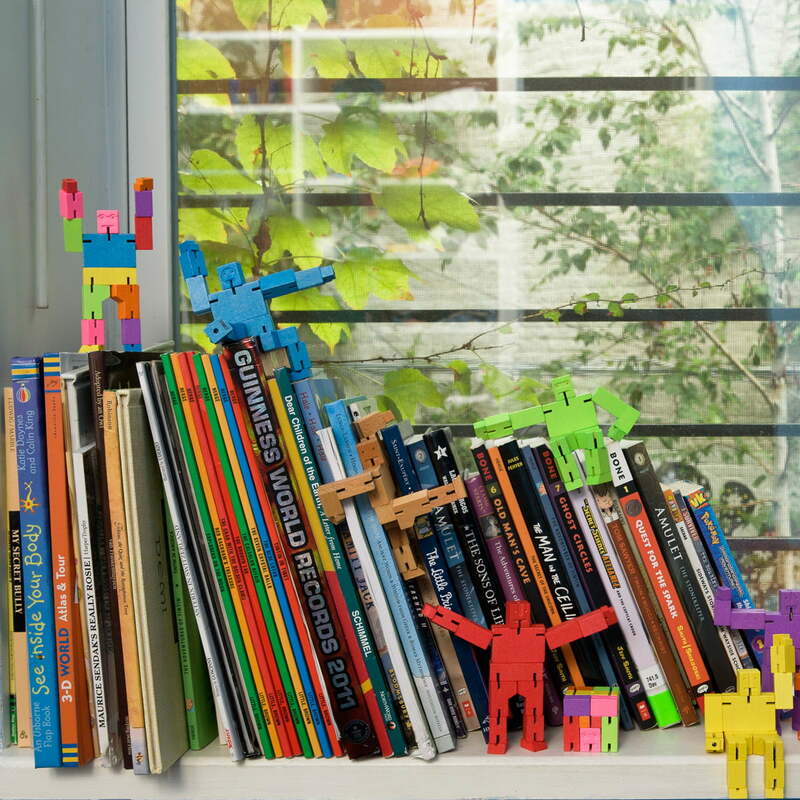 The Cubebot and the Micro Cubebot by areaware don't. 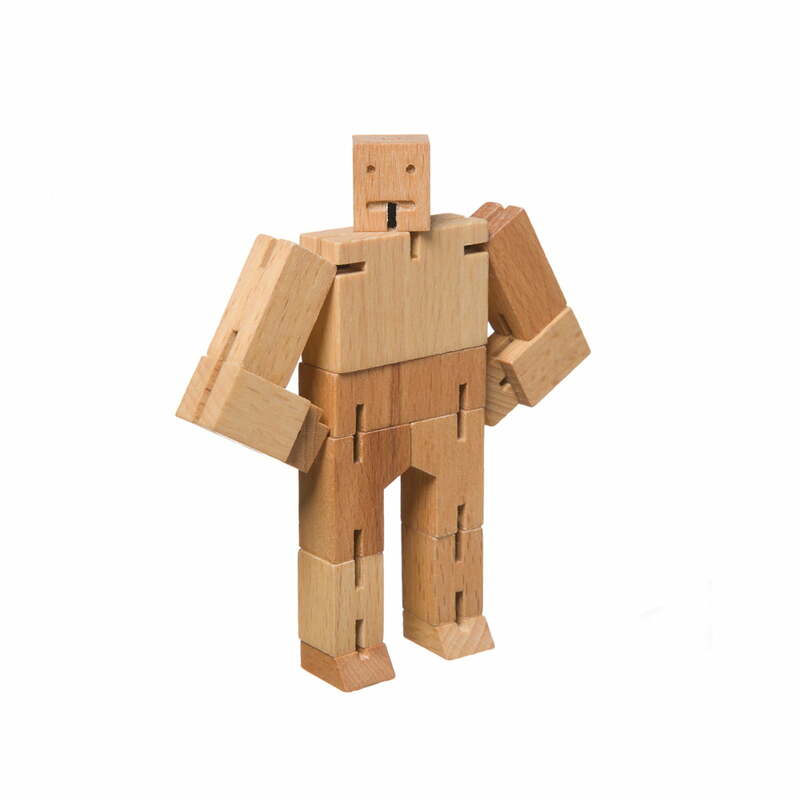 The designer David Weeks designed his CUbebot robots out of wood, inspired by the Japanese Shinto Kumi-ki puzzles. 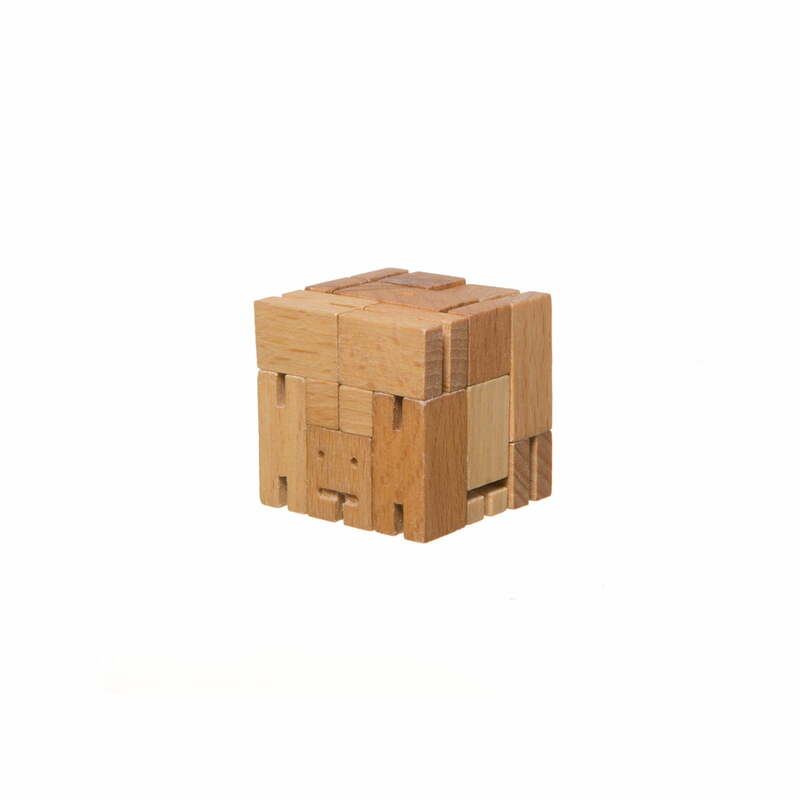 Cubebot is a combination of Japanese tradition and contemporaneous toy culture. Cubebot becomes a futuristic robot with only a few handlings as if it was one of the popular heroes of TV movies. If it is time to relax, the Cubebot is simply changed into a perfect cube. Also the small Cubebot changes into different poses: pose hero-like, run, dance, knee or simply stand. The joints and muscles are thereby kept flexibly together by means of rubber bands. And as usual for a good robot, Cubebot is nearby unbreakable: The wooden model is hard and stable and therefore also resistant against nearby every shock. 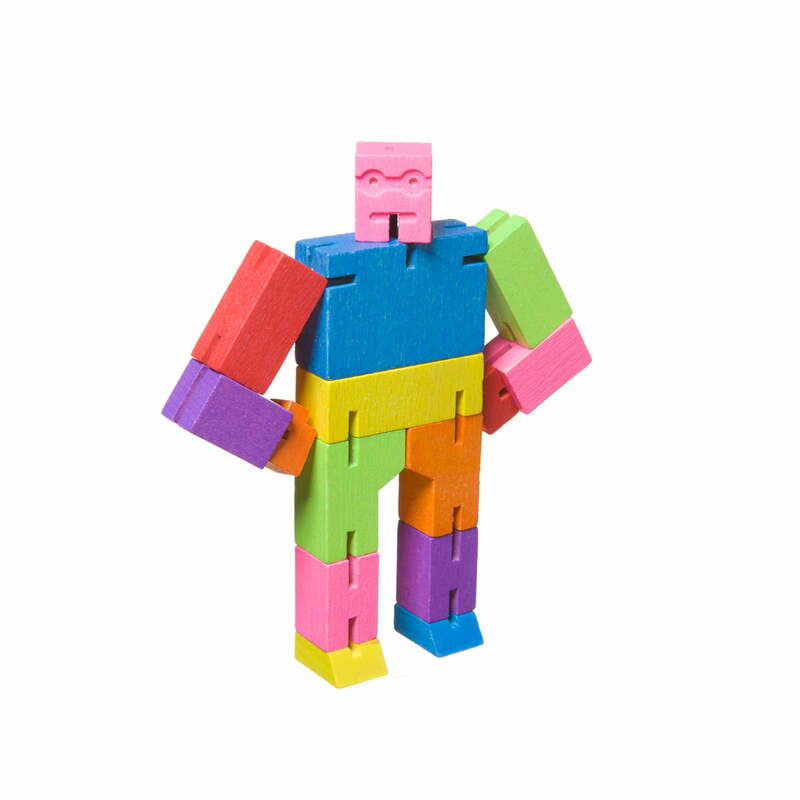 The Cubebot is made to survive generations of playing hands. But the charming robot isn't only suitable to play: Cubebot also feels comfortable as decoration object on the desk or in shelves. 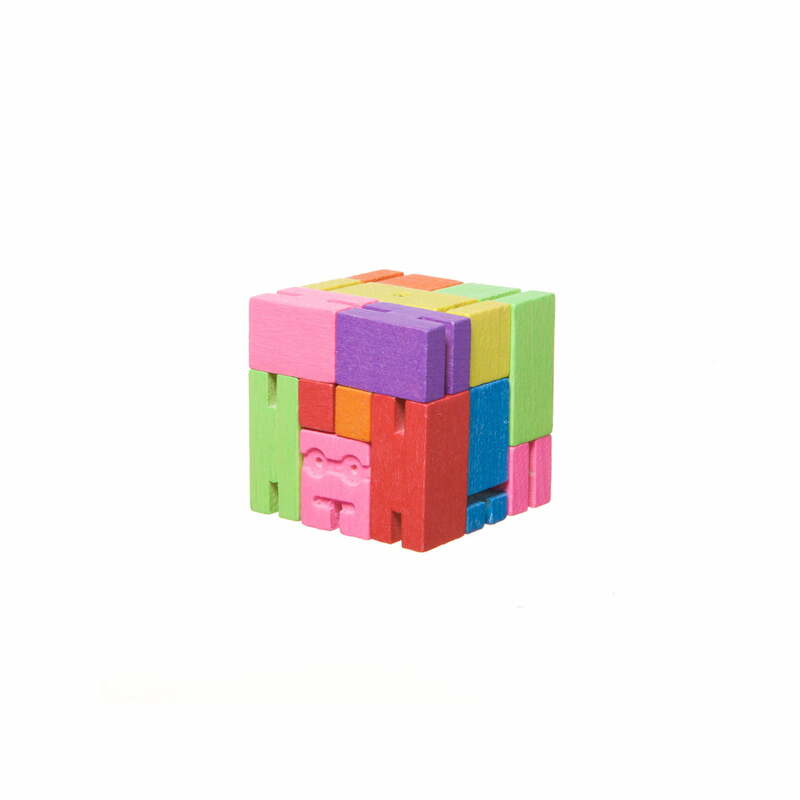 Cubebot is suitable for children from 3 years and it is available in different colours. Robots are normally plastic and need batteries. Though not this one! 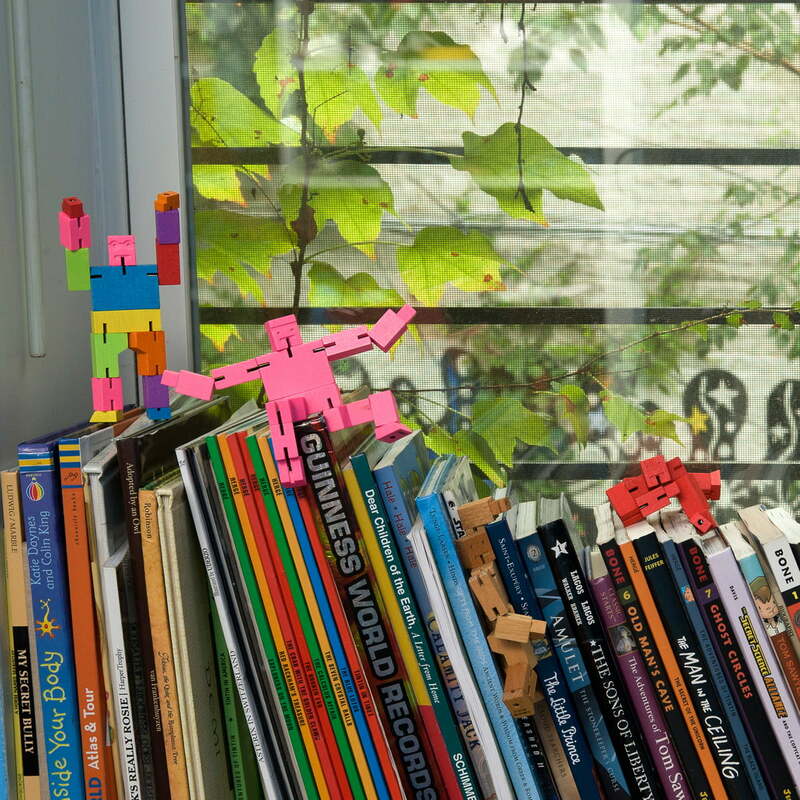 The Micro Cubebot by Areaware is a robust playmate which doesn’t lose steam quickly. And if it ever occasionally needs a break, you can easily fold it up into a perfect cube.